We are a small and friendly district branch of the national association who meet on the first Thursday of each month at the Territorial Army Centre, Harrowby Road [entrance off Whitford Street] Birkenhead, Wirral, Merseyside. CH42 7HT. For security reasons we request members and visitors must arrive between 7-15 and 7-55 pm. If travelling please check for confirmation regarding the speaker as due to unforeseen circumstances the guest speaker can vary. If you are interested in the First World War and would like to meet like minded people you are more than welcome to come along. 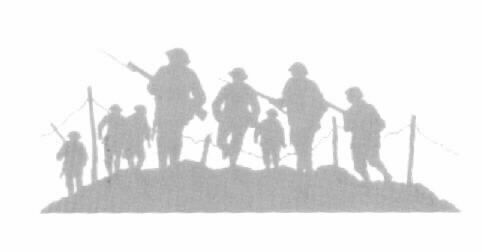 For each meeting we generally have a guest speaker presenting an illustrated slide show on a diverse range of Great War subjects. As a branch we encompass all aspects of the war not solely events connected with the Western Front, for example Galipolli. Although we have approximately 100 members our meetings are generally attended by thirty or so members. Some of the benefits of membership comprise our occasional branch outings, past trips have included the Imperial War Museum and the National Archives at Kew. Closer to home we have had conducted tours of two vast local cemeteries visiting Great War incumbants. These are usually light hearted affairs with plenty of related discussions. We close each year with a Christmas Social with complimentary food and drinks. We also attend local Family History Shows, and in 2007 had a double display stall at the Hulme Hall, Port Sunlight event, the major Liverpool Big History Show and the Aintree Family History Fair. In March 2008 we returned to the Hulme Hall Geneology fair. Normally at these venues we offer on the spot research into Soldiers killed in the Great War, battalion movements etc. The shows provide an ideal opportunity to meet family tree enthusiasts and explain some of the military stumbling blocks they may have encountered. We are of course availiable for a good old chat on Great War matters. In April after much hardwork planning and arranging, seven of our members enjoyed a week long mini bus tour of the Great War battlefields of France and Belguim. The trip focussed on the British sector of the Western Front, relevent to 1 July 1916. We are very pleased to say, the National Lottery through 'Awards for All', made a significant contribution towards the tour.